Skip the vodka and sample some of these gold medal-worthy drinks. Even if you aren’t among the estimated 500,000 men and women trekking to Rio in August for the Olympics, that doesn’t mean you can’t get a taste of the South American experience. One easy way to do it? Buy a bottle of one of the region’s most popular local spirits. Muddle the pineapple, mint, lime, and simple syrup in a shaker. Fill the shaker with ice. Add the cachaça. Shake vigorously. Strain and serve in a rocks glass filled with ice (crushed or cubes). Optional: Garnish with a wedge of lime or pineapple or a sprig of mint. Learn all about the spirit this summer cocktail is made from below. This primer will teach you everything you need to know. 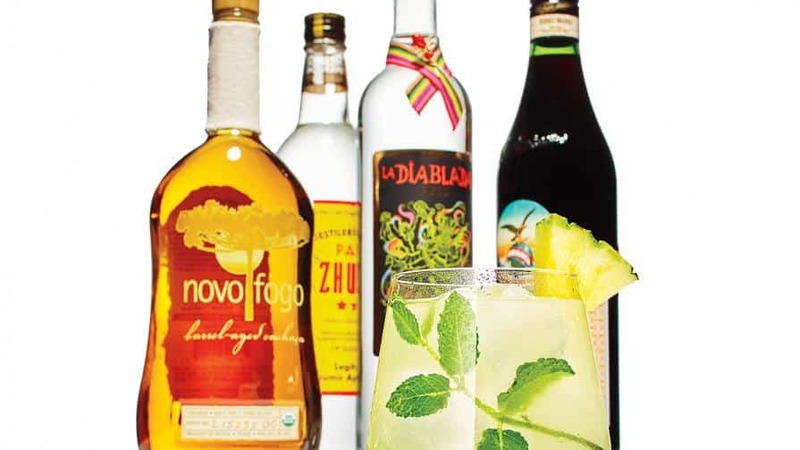 Why You’ll Like It: Cachaça can be sold unaged or aged. Both are good—but the aged versions are more interesting. “There are around 30 different indigenous Brazilian woods that cachaça can be stored in, and each changes the flavor,” Mix explains. Check out cachaça aged in amburana for a spirit with a warmer, more savory flavor, or balmwood, for a clove and anise taste.